House cleaning takes on a new level of importance once fall sets in with winter right behind it. As the temperatures fall, along with leaves and snowflakes, there’s a lot more to track into the house. You don’t need a dedicated mud room with well-organized cubbies to help reduce dirt and debris coming in on boots and shoes. Start with a boot scraper outside the door and insist that everyone use it before stepping on to a firm bristle door mat, also outdoors, to farther clean off the bottoms of soles. Inside the door, any door, keep an indoor-outdoor mat, and a large low plastic tub or two with an old towel in the bottom for shoes and boots. Hooks or an independent coat rack on the mat works for jackets, while wet hats and mittens can be placed in a little crate or container to be transported somewhere else – like near a fireplace or radiator or in a sunny window – to dry. Staying organized at every entry door is a great start to keeping the floors clean and bulky, outdoor, potentially wet clothing away from dry coats already in a closet. Here are five more great reasons to clean your house, have your house cleaned regularly by a maid service and keep your condo, loft, apartment or townhouse in good condition throughout the autumn and winter months. Dirt and grime can wear away wood floors, rugs and upholstery materials in both appearance and durability. The fewer times that leaves, dirt and snow find their way on to floors and into rugs, the longer the life of the floor. Little stones are easily caught in boots with treads like hiking boots, and they are especially damaging to all kinds of carpets and floors. Having even a small mud station at the door with boot scrapers outside will reduce debris stuck in shoe and boot treads. People are not the only creatures who enjoy the warmth of being indoors. A wide variety of wee critters and insects crave some protection from the harsher fall and winter weather, and your home can be just as appealing to them. However, routine house cleaning with occasional deep cleaning will deter invaders who find nothing damp to breed in and no crumbs to consume. Once furnaces click on and windows close, less fresh air circulates in the home, and house cleaning is the best way to remove dust and particles. This is even more imperative for houses with woodstoves and woodburning fireplaces which impart some measure of ash and residue into the home. Air quality is a huge factor in wellness and healthy living. There are many reports on the adverse effects of Seasonal Affective Disorder, also known as Winter Depression, on the lives of millions of Americans who suffer through the gray days with less daylight in winter. House cleaning can keep one’s spirits higher remembering always to dust light bulbs and lampshades and even keep windows as clean as possible for maximum natural daylight. With so much to celebrate from pumpkin festivals, Thanksgiving and Christmas to football, the Super Bowl and Valentine’s Day, having a clean house makes preparing meals and hosting friends and family a breeze, no matter if the weather outside is frightful. 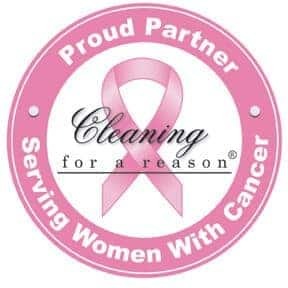 House cleaning and treating yourself to a professional maid service can give you a wonderful brand of peace of mind and joy to relax in a clean home all fall, all winter, all the time.